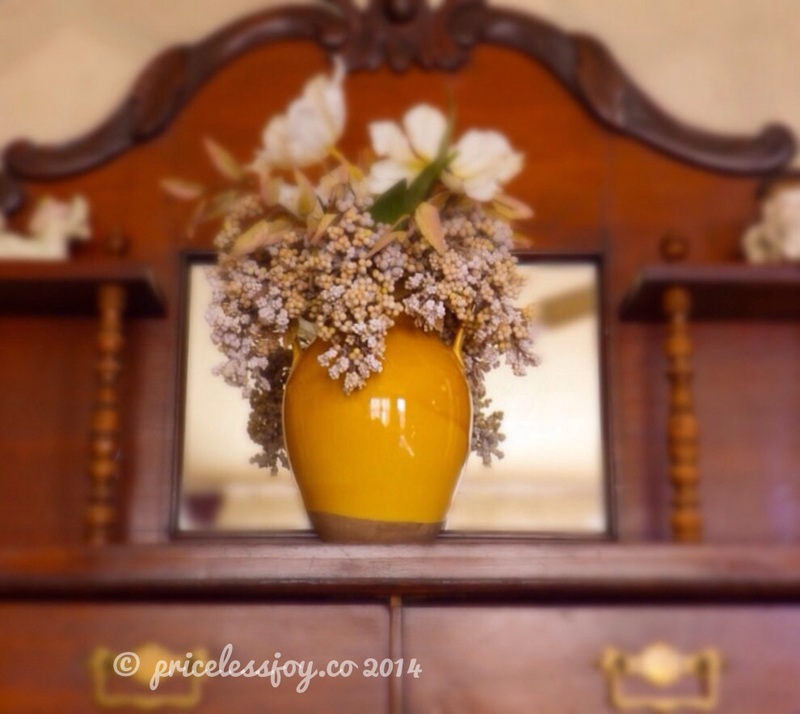 Pretty yellow vase! Most of my porcelane vases are white, I should get some colourful too. Thank you Elizabeth! I need to get new flowers for it. I am really tired of the ones that are in it. I really like the vase though. Thank you! Yes! It does. It is so cold here (for our region) and I didn’t want to go outside searching for something to photograph. So I settled on staying warm and taking a photo of my vase. LOL!